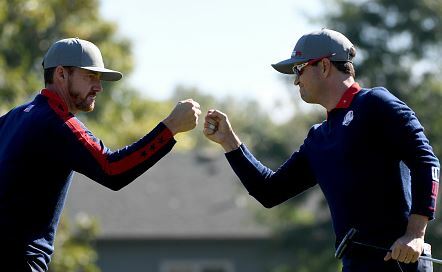 In a surprising turn of events, the US team swept the morning foursomes. Jordan Spieth and Patrick Reed defeated Henrik Stenson and Justin Rose 3&2. Phil Mickelson and Rickie Fowler defeated Rory McIlroy and Andy Sullivan 1 UP.